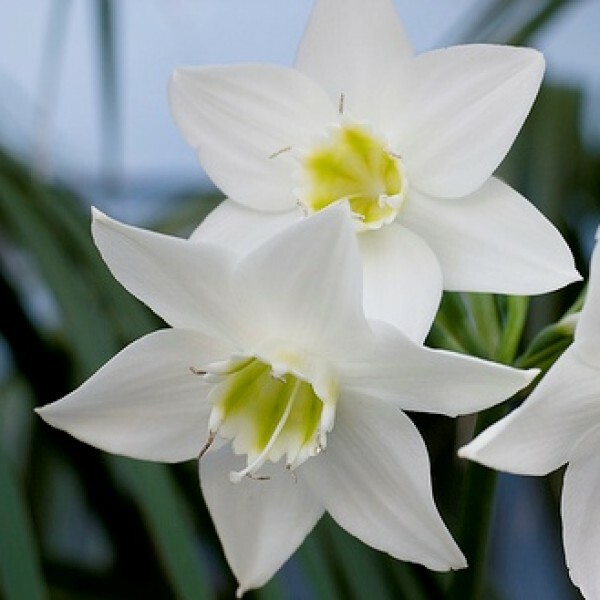 The bulbous Amazon lily is a low growing bulb producing star shaped clusters of white flowers held high above the plant. Each cluster contains 3-6 fragrant flowers. Amazon lily flowers are very showy, leaves are large and spectacular. The large showy Amazon Lily white flowers are borne in an umbel of three to ten on an erect scape 40-80 cm long. The flowers are beautiful in having a prominent corona, which is sometimes tinged with green.